Here is yet another postcard recently donated by Eva Doyle. 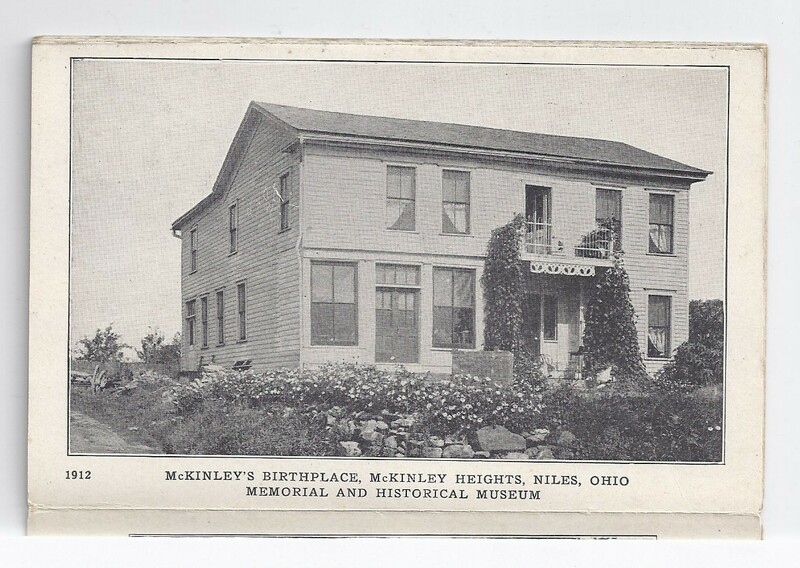 The image shows the restored birthplace home of William McKinley. The house, which originally stood on N. Main Street, was split in half. One half was moved to the back of the N. Main St. property and used by the Harris Company. The other half of the house was moved to Riverside Park in nearby Evansville, where it served as a rental property, and then was abandoned and fell into disrepair when the park closed. Mrs. Lulu Mackey-Wess purchased both halves of the house and had the house restored on her property at Tibbetts Corners, now the intersection of Robbins Ave./Tibbets-Wick Road and Route 422, where Pinetree Place plaza now stands.